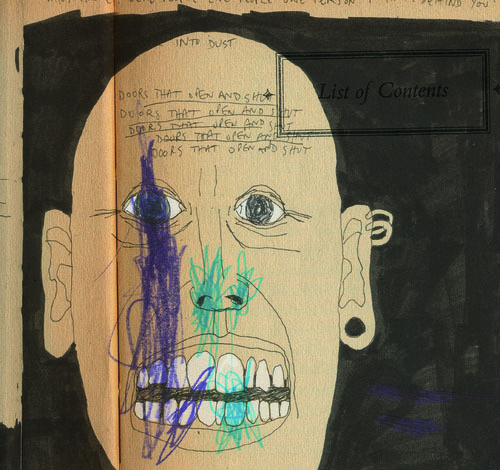 Stanley Donwood is an enigma. His work on Radiohead's albums and all associated artwork has gained him worldwide recognition. Since 1994, having designed all artwork from the second album ‘The Bends’ onwards, his evocative and haunting imagery has helped to create one of music’s most distinctive brands. In 2006, the release of Thom Yorke’s ‘Eraser’ record brought Donwood’s very distinctive artwork ‘London Views’ into the public eye once again. As an artist he veers from propagandist graphics to introspective illustrations, but a consistent strength is its combination of deep personal and political emotions with modesty and humor; weighty subjects examined not entirely seriously but certainly respectfully. Notoriously reclusive, Donwood himself doesn't pander to the disingenuous media trend for grandeur, and like many intelligent creatives operating in such a conceited sphere, cannot resist underselling himself. 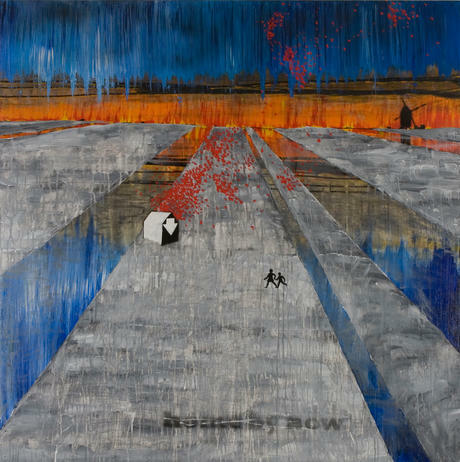 Stanley Donwood is recognized as one the UK’s ‘popular contemporary’ artists and has exhibited his gallery art to an international fan base, including galleries in London, Tokyo, Amsterdam, Barcelona and Rotterdam.